General Hospital (GH) spoilers reveal that things are going to get explosive in Port Charles. The tension between Jason Morgan (Billy Miller) and Patient 6 (Steve Burton) could have one of them prepared to kill the other. Sam (Kelly Monaco), caught in the middle, is forced to make the most difficult and heartbreaking decision of her life. A new promo clip for the ABC soap was released recently. Those thinking that Jason and Patient 6 would simply hunt for the truth together are mistaken. Things are very personal, especially when it comes to Sam and the children. General Hospital spoilers tease that Carly Corinthos (Laura Wright) will firmly tell Sam that she has to make the choice. Her heart, trapped between two men, has feelings, a connection and history with both of them. How does she decide to be with one, while forsaking the other? So far, Patient 6 has been patient and BM Jason has been the one boiling over. Things are going to switch, though. 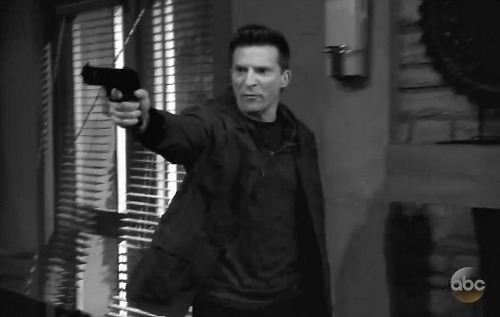 In the promo clip, Steve Burton’s character briskly walks up and with a gun in his hand, says, “Get away from her!” The person he is talking to isn’t seen, but could it be his twin brother and adversary, BM Jason? General Hospital spoilers reveal that the search begins for the truth. It will be a long and windy road of shocking revelations and exposed secrets. Innocent people will be caught in the crossfire as old history is drudged up. Someone is responsible, but will the brothers kill each other before the truth is revealed? Fans should expect things to get heated in the next few weeks. 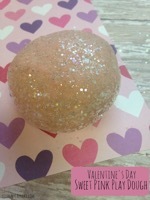 There will also be some surprises. As viewers have heard, Tamara Braun is coming back and makes her first in-character appearance in the new promo video below. Her character has not been revealed (although Dr. Kim Nero is a very good bet), but her first airdate is November 22. Is she in any way connected to this mystery? Anything is possible. Keep watching the ABC soap and check back with CDL for the latest General Hospital spoilers, updates and news.